Hopefully you had a chance to make some lemon curd this citrus season. As I mentioned previously, I certainly have. 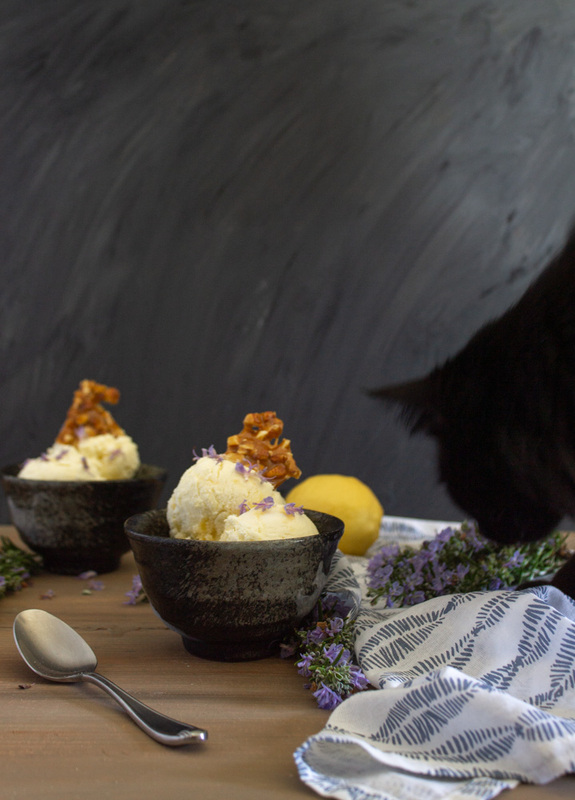 So now we get more creamy, citrusy desserts. 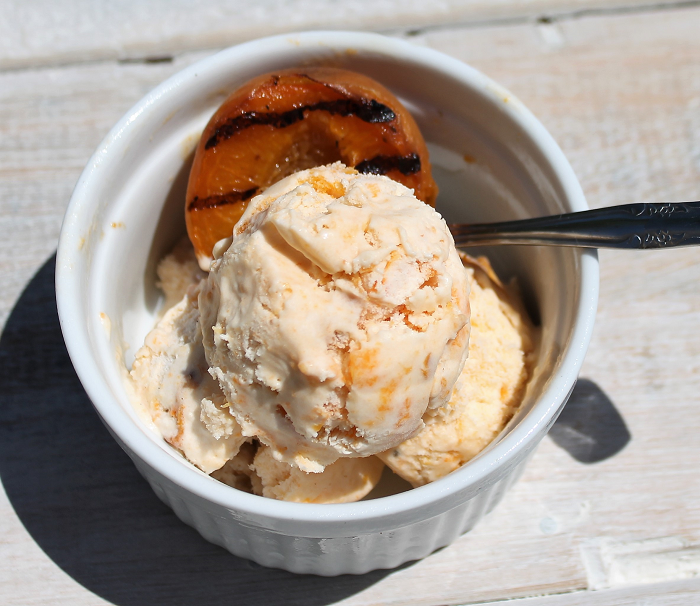 I rarely make ice cream in the winter and early spring, simply because people are less interested in eating it. It just sits in the freezer getting freezer burn, and isn’t that a sad fate for any ice cream? But when I had an abundance of lemon curd, using it as a swirl was just too tempting. Also, I had extra cream from my cake baking extravaganza my birthday week, and I just added some rosemary to infuse it. Infusing fat containing solutions is similar to infusing a sugar solution. The sugar or fat allows for the compounds less soluble in water to be extracted. These compounds are the aromatics that provide most of the flavour and scent to an herb. 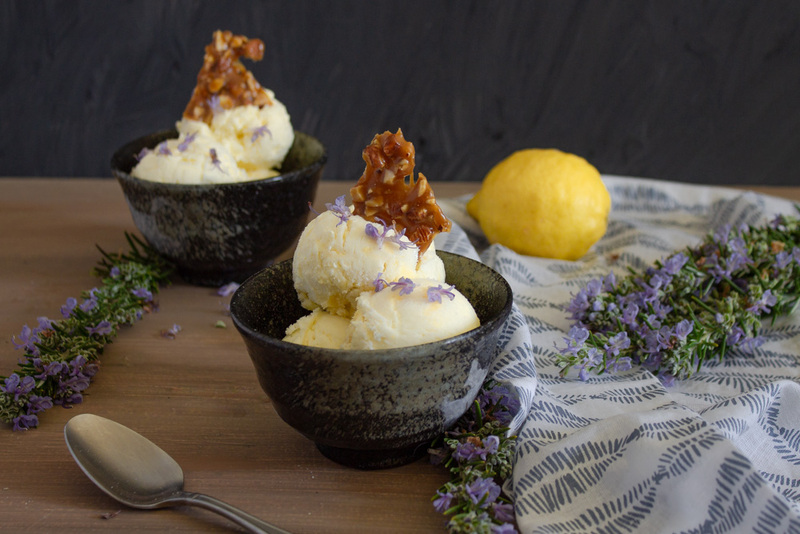 Heating the cream increases the solubility of the aromatic compounds from the rosemary, decreasing the infusion time. This only works if you are going to further heat the milk products afterwards rather than whipping as the heating changes the protein structure and prevents an emulsion from forming. 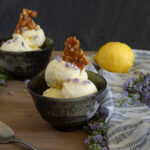 I served this ice cream with a bit of almond toffee, just as a totally different flavour and it went very well, but it is certainly not critical. Or make it on its own with some deeply roasted almonds. But then, I’m quite partial to caramel-y sweets. Brun got a little too inquisitive during the photoshoot, as usual. 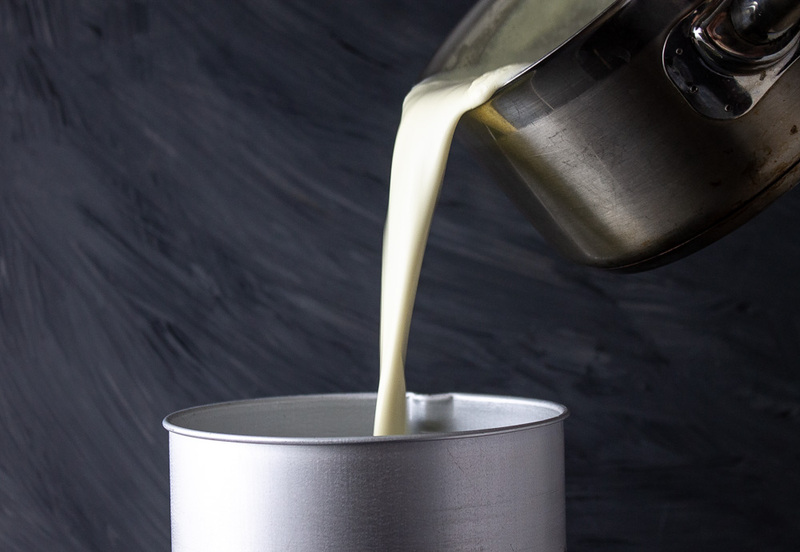 Combine milk and cream in a large saucepan until just hot, not simmering (about 100F). Add rosemary and stir to submerge. Cover and allow to sit for 3-4 hours in the fridge. Alternatively allow to soak from cold at least 12 hours. 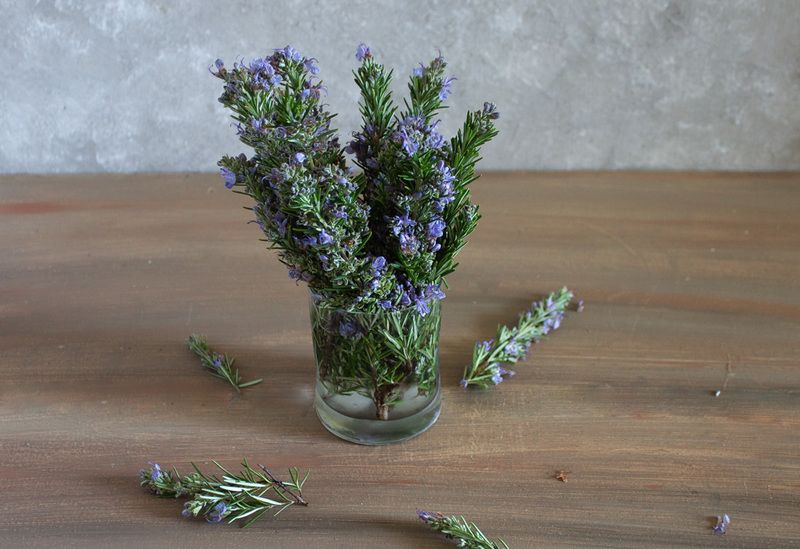 Strain the rosemary out with a fine mesh sieve or cheese cloth. Press or squeeze to extract all flavor. Whisk egg yolks and sugar in a bowl until pale yellow and ribbons drip from the whisk. Return to stove and heat on medium-low until just simmering. Remove from heat. Whisk ¼ of cream mixture into eggs until incorporated. Continuously whisking, add egg mixture back into saucepan. Return to heat and continue stirring until starting to thicken. It will not be very thick, just slightly. Remove from heat, cover with plastic wrap touching the surface so that a skin does not form and refrigerate until mostly cool or at least room temperature. Freeze mixture according to your ice cream maker’s instructions. When you are moving the frozen cream mixture to a storage container, layer the lemon curd in at least 3 levels and stir with a spatula to distribute in a ripple effect. 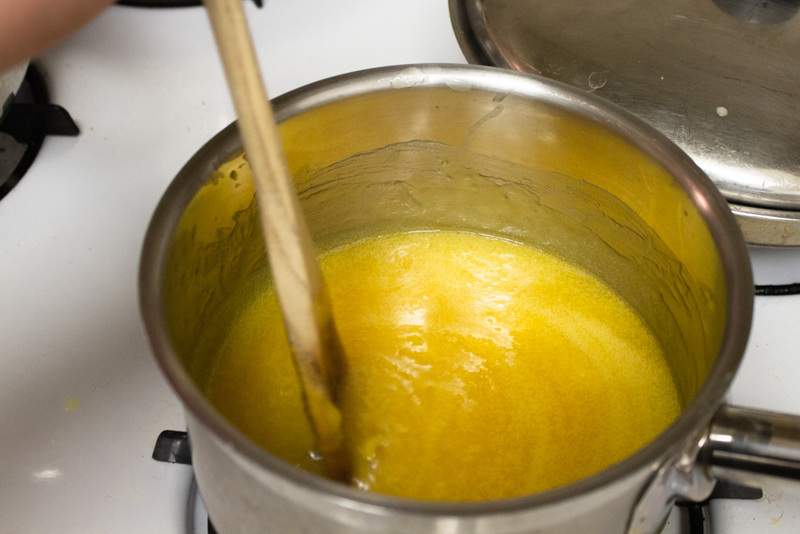 Melt sugar in a saucepan over low heat, swirling to redistribute unmelted chunks. Heat to a deep caramel colour. Remove from heat and add butter, stirring until completely incorporated. Return to heat and cook to the low end of hard crack stage (295-300F). Stir in salt and almonds. Spread thinly on a baking sheet and allow to cool. Store in an airtight container. Find a recipe for lemon curd here.